Once downloaded you will receive a coupon instantly from guess which can be printed or shown on your mobile device. Can be used in store on your first purchase, mention code at register. - Attend VIP events and more. 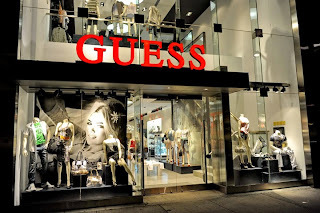 - Guess Factory store locations. Spend $100 get a free duffle bag. This coupon is valid at Guess Factory stores in Tanger Outlet Centers however it can be used at other Guess factory stores nationwide. Black Friday at Guess stores, no need for coupons, get up to 50% off storewide.